Kidneys are important to cleansing and detoxification of the body. They are responsible for the elimination of waste products and help maintain balance and stability in the body. Eating certain vegetables like cucumbers and sprouts can help support the cleansing processes of the kidneys. 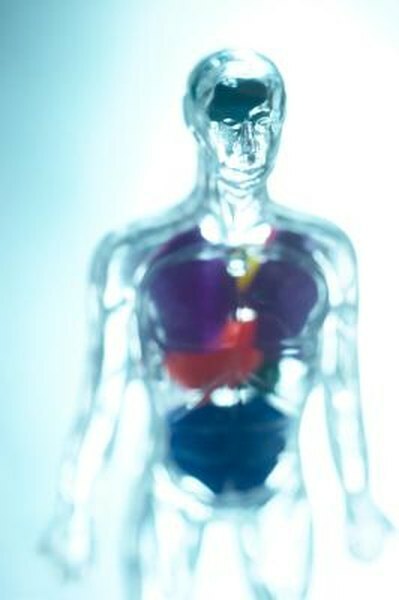 The kidneys are important organs in the body necessary to maintain a healthy life. They remove waste from the body, reabsorb nutrients and water, and help to regulate blood pH. They also produce a hormone to help regulate blood pressure. Signs that the kidney requires cleansing or detoxification include kidney stones, water retention or kidney infection. Cucumbers support cleansing the kidneys. They are a laxative and a diuretic. They help eliminate harmful substances through the kidneys. They are also beneficial in helping to dissolve kidney and bladder stones. Sprouts are beneficial for detoxification of many parts of the body. They are especially beneficial to the kidneys because of their high water content. The water and laxative effect of the sprouts helps to remove the toxins from the kidneys. They are also a diuretic that helps enhance the removal of toxins. A number of additional vegetables help support kidney cleansing. Celery is high in potassium, which helps to regulate blood pressure and is filled with minerals to help blood acidity. Onions help to reduce blood pressure and cleanse the body of toxins. Additional vegetables that support the kidneys include artichokes, asparagus, garlic, potatoes and leafy greens.